Prepare to have your breath taken away in this stunning solar heated pool home located in the gated community of The Estates on Lake Mills. 5 BD/4BA, or BD#5 can act as wonderful guest suite/bonus room with plenty of private space, large closet & private bath. Open concept w/ plenty of entertaining space that leads you to the beautiful screened, pavered lanai overlooking your crystal blue pool, spa & the sounds of a relaxing water fall. Large kitchen w/ durable Jetta Stone counters & plenty of space for those who like to create in the kitchen & host for the holidays. NEW ENERGY EFFICIENT AC, NEW ROOF, NEW SS APPLICANCES, NEW PAINT INSIDE & OUT, newer hot water heater, new pressure tank for well & an irrigation system throughout the one acre, cleared and meticulously maintained fenced-in yard. Hardwood floors & tile throughout main living space, his & hers walk in closets in the master suite & large soaking tub with his & hers sinks & vanities in the master bath. Tons of storage & a large laundry room with utility sink. Situated on a corner lot w/ a spacious 3 car garage & mature landscape as you approach the quiet cul de sac. The community offers tennis & basketball courts & is close to nature & hiking trails. 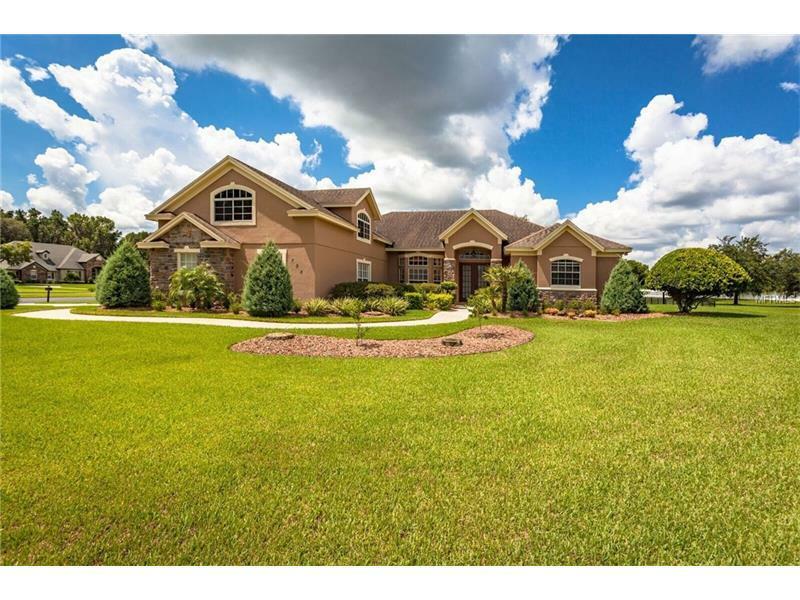 Conveniently located just outside Oviedo (zoned for sought-after Oviedo schools! ), close to shopping (brand new Publix shopping center just a few miles away), dining, just 15 minutes to UCF & 30 minutes to Downtown Orlando & the Airport. Pride in ownership shows, you don't want to miss this gem!